It's that time of year when tropical drinks take over the summer drink menu. 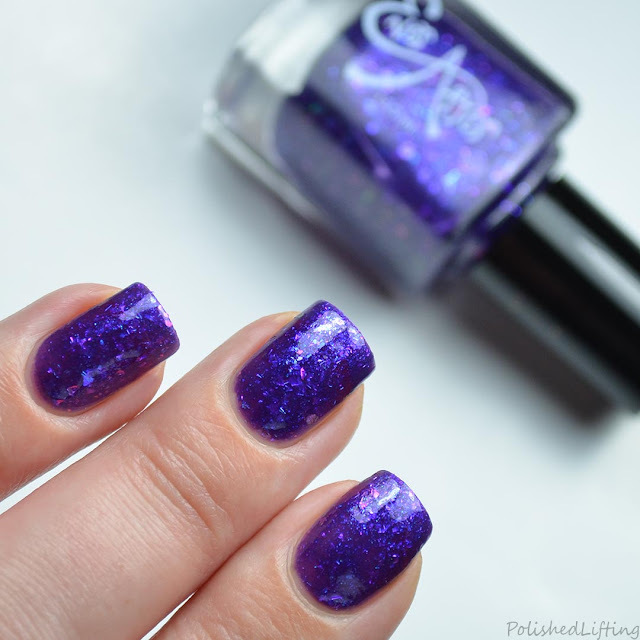 Ever After Polish is celebrating summer and adult beverages with the launch of their Jelly Drinks Special Effects Toppers collection. Each polish was inspired by a classic drink. Notes: Tequila Sunrise is such a wild polish to look at. The shimmer paired with the color changing flakies is an enchanting combo. Notes: Limearita is so twinkly and pretty. I know this was meant as a topper, but I wish it was full coverage for regular wear. Notes: Purple Haze is purple on purple on purple. The blue shimmer really makes this shade neat. 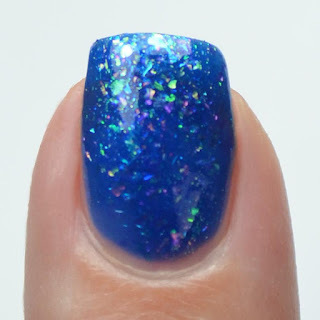 Notes: I think the color shifting flakies really shine in Blue Hawaiian. It's just opaque enough for full coverage while translucent enough to let the flakies show through. Notes: This is one coat of Ever After Polish Straight Up over JulieG Henna. 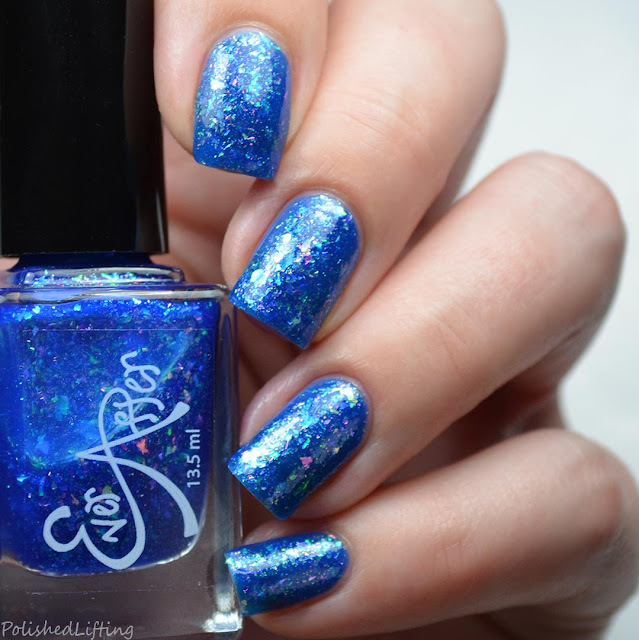 The Ever After Polish Jelly Drinks Special Effects Toppers will be available on August 9th. 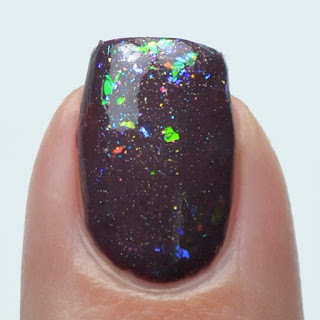 If you enjoyed this post you might like Ever After Polish Dragons and T-Rex Nail Art featuring Harunouta & Ever After Polish.